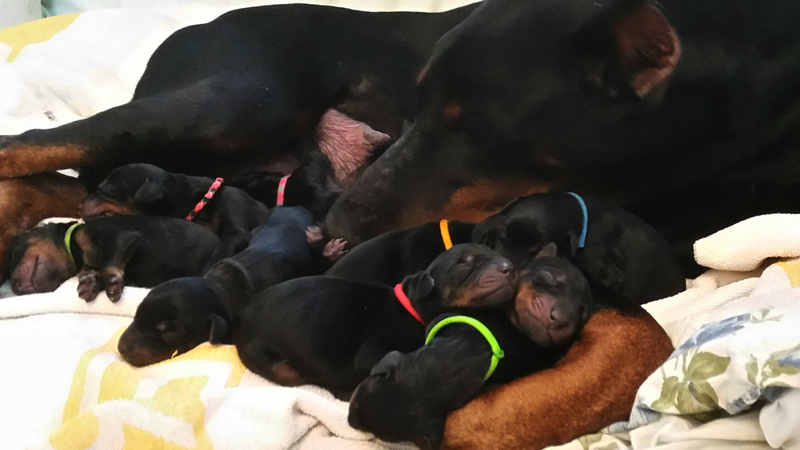 Our new puppy XANDRA VOM GERDAUTAL(Nikki, Orange Collar)was born on 31st Dec 2017 . 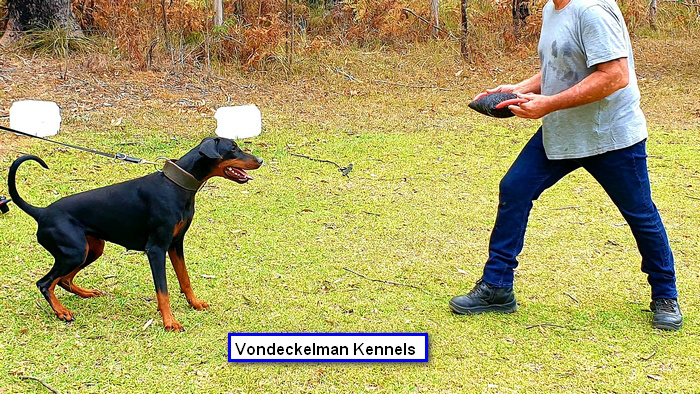 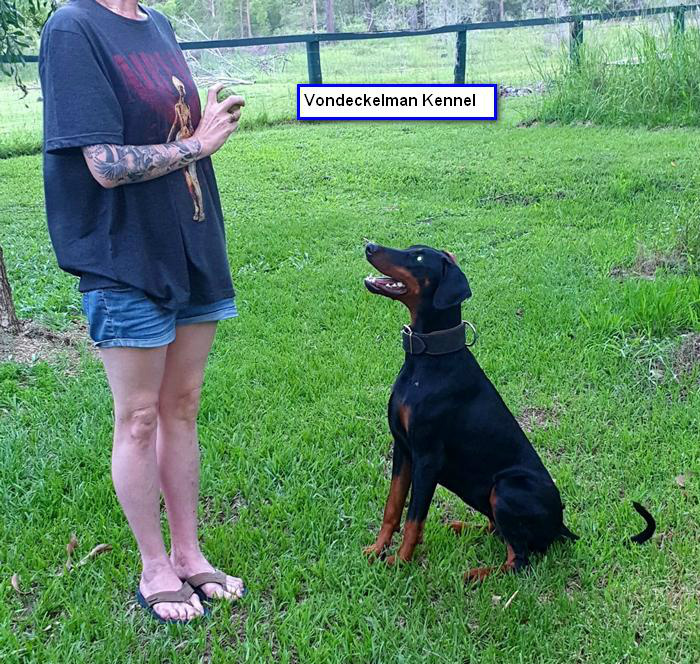 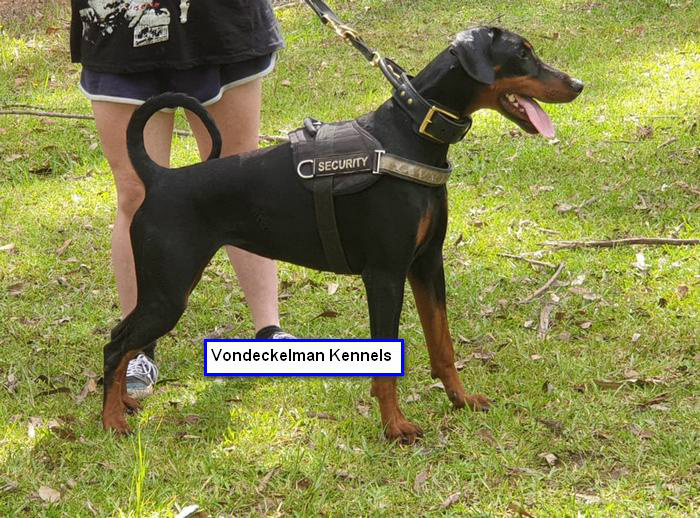 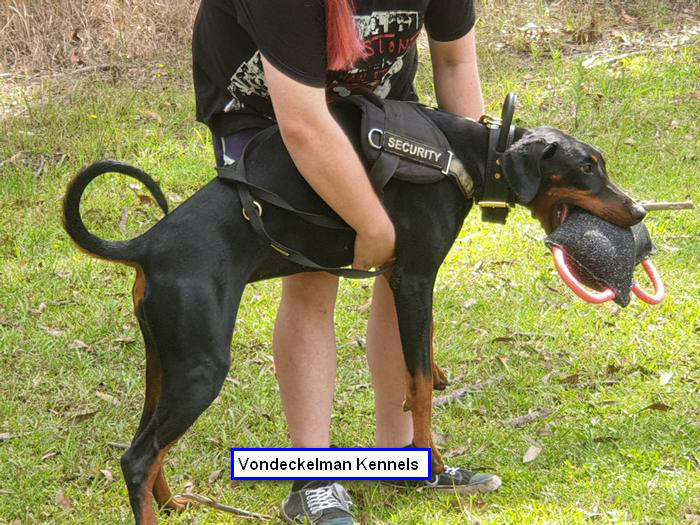 Go to YOU TUBE then search Vondeckelman Kennels to see Xandras Videos, Pictures of Nikki on this page are from Puppy thru to 15 Months old. 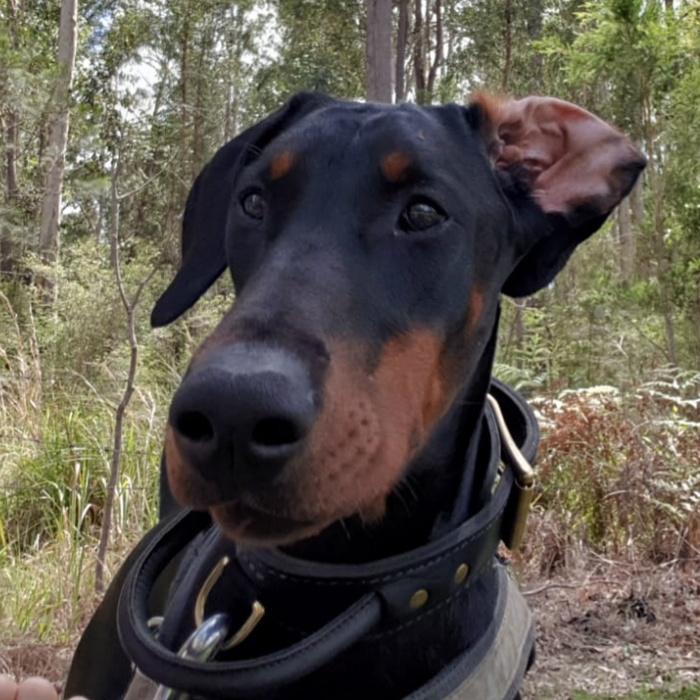 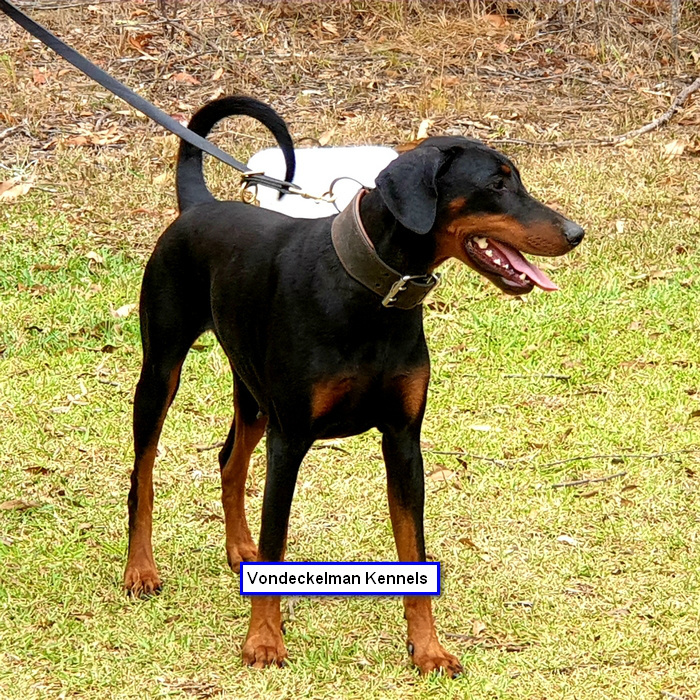 JEDI is a multi champion dog, he completed IPO1 and rated ZTP V1A for breeding(Best rating a dog can get). 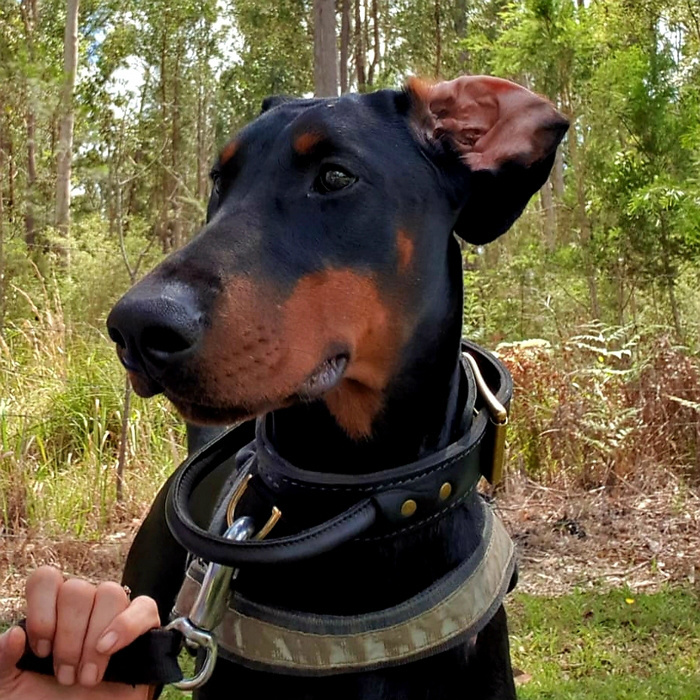 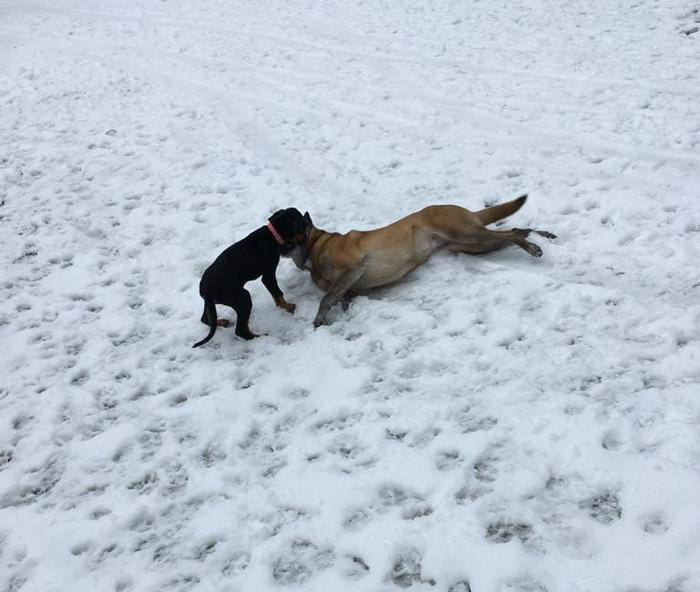 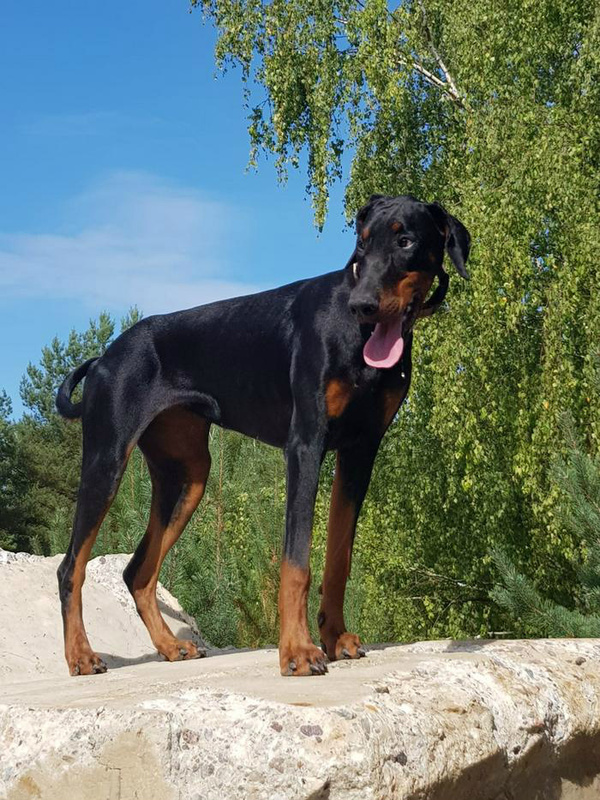 He has Ch dogs all through his lines including Gino Gomez del Citone a hard self assured dog with Ch titles, Jedi is a big boned, strong dog and we cant wait to see what he achieves in the future. 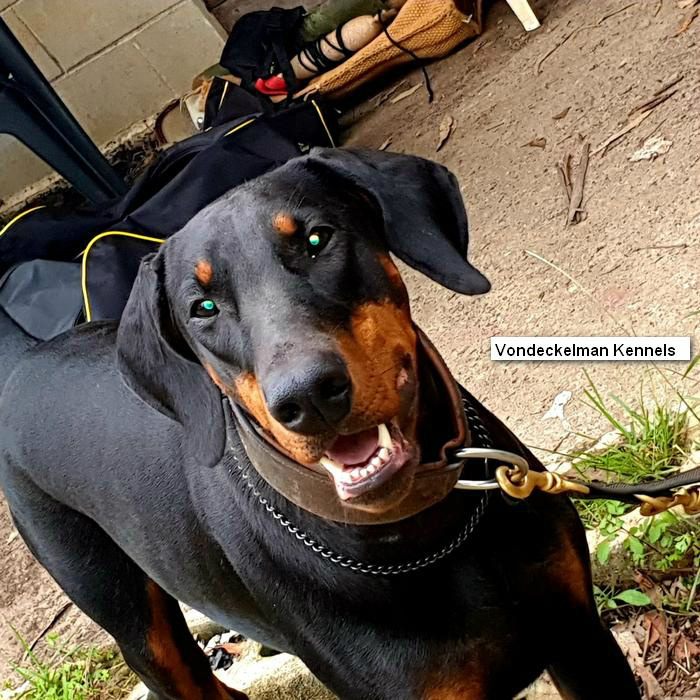 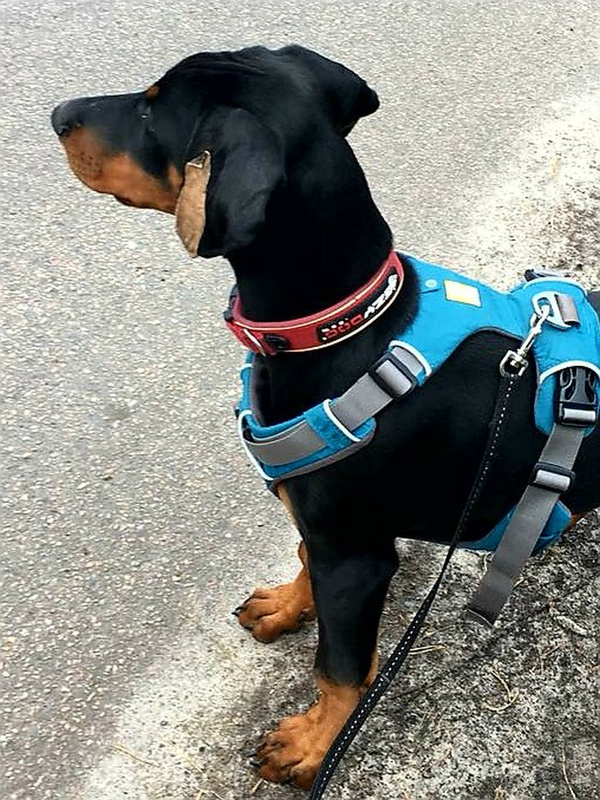 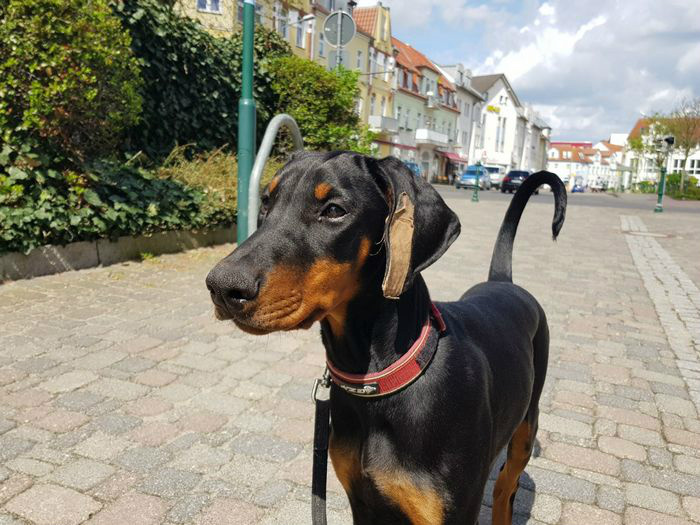 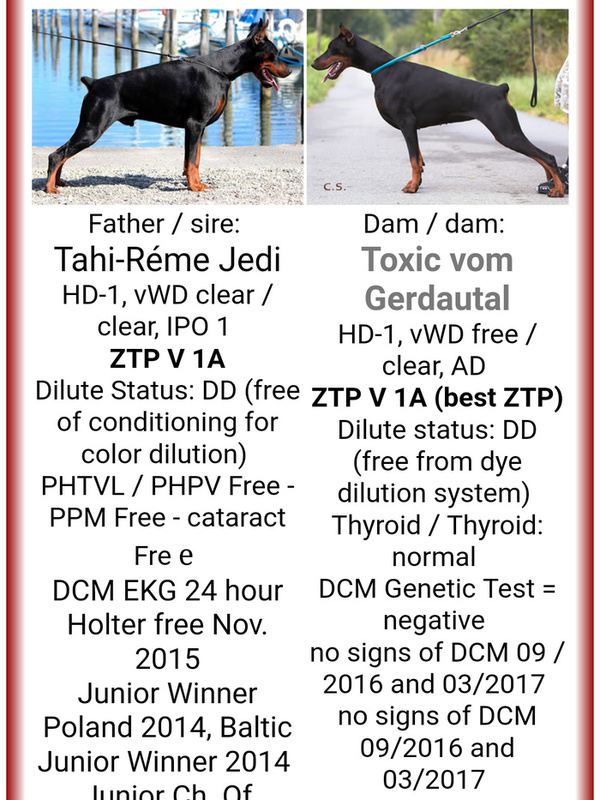 TOXIC VOM GERDAUTAL also rated ZTP V1A for breeding (Best a dog can get), she has great power and confidence and is already gaining recognition by top trainers in Germany. 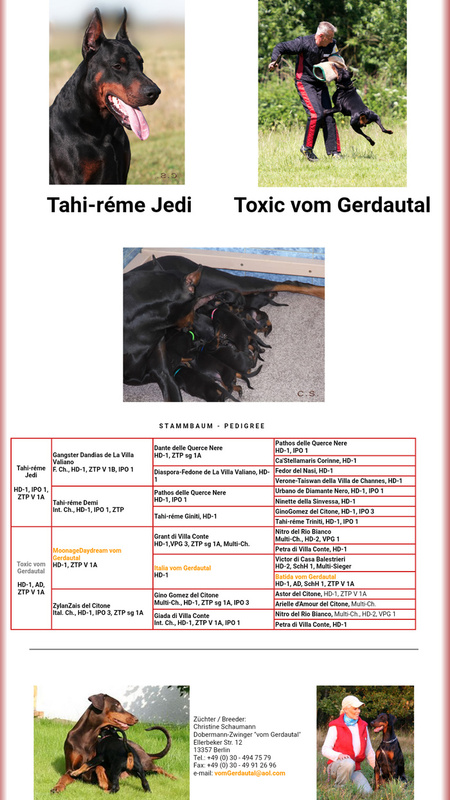 Toxic has some of the oldest and best lines in the world in her pedigree & she is with no doubt following in the footsteps of them. 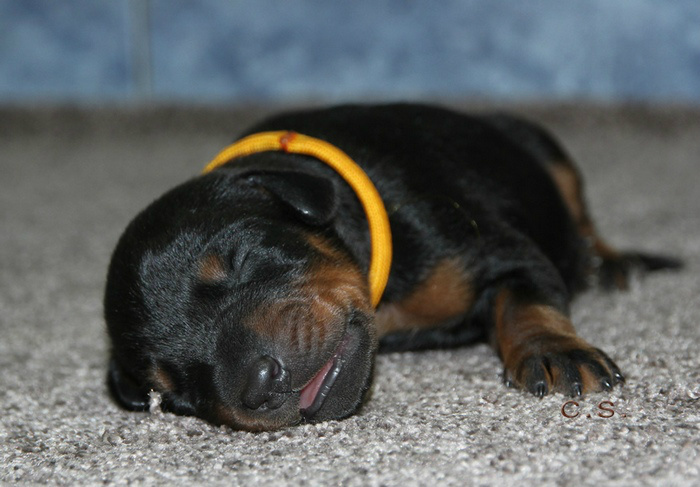 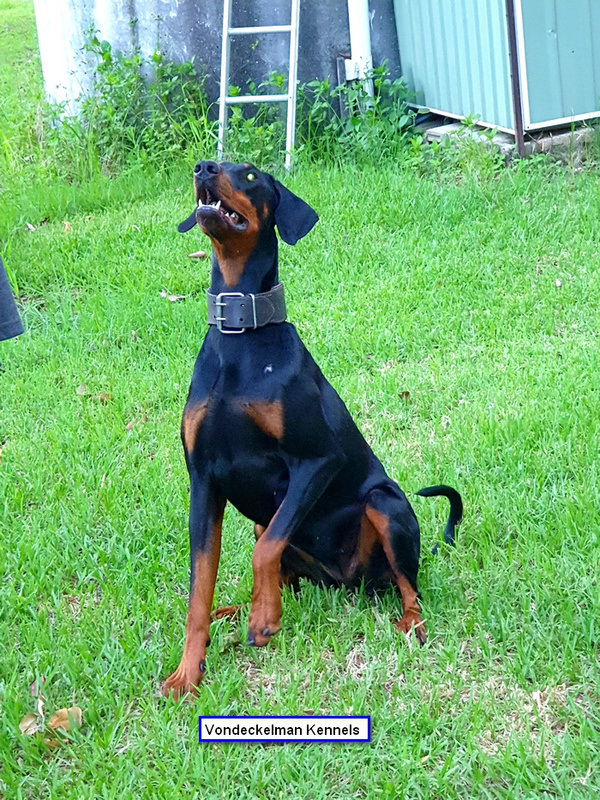 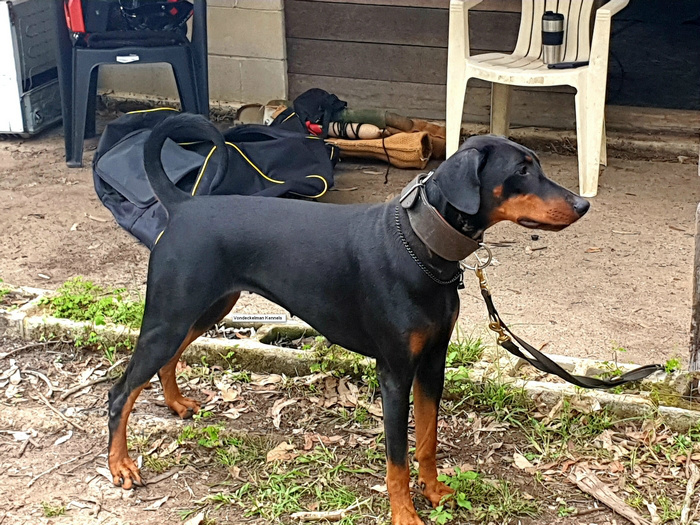 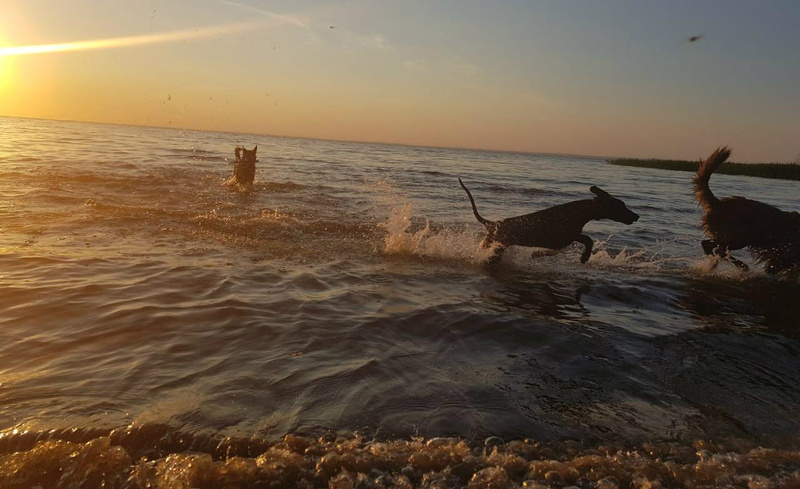 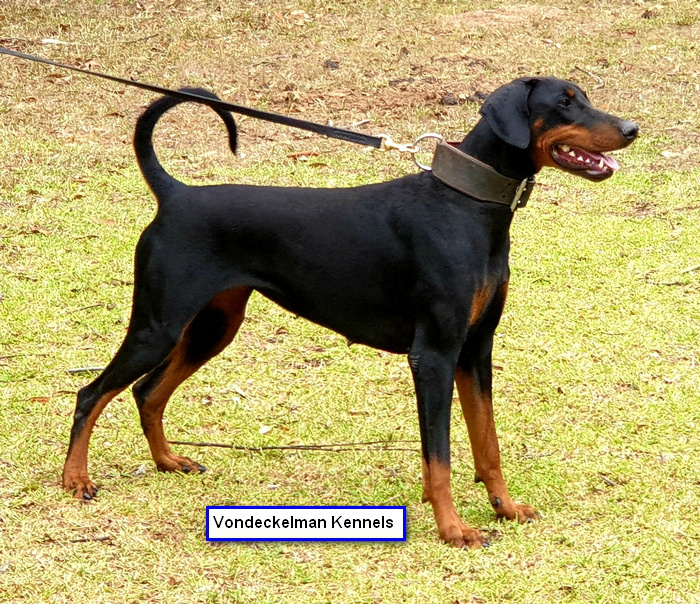 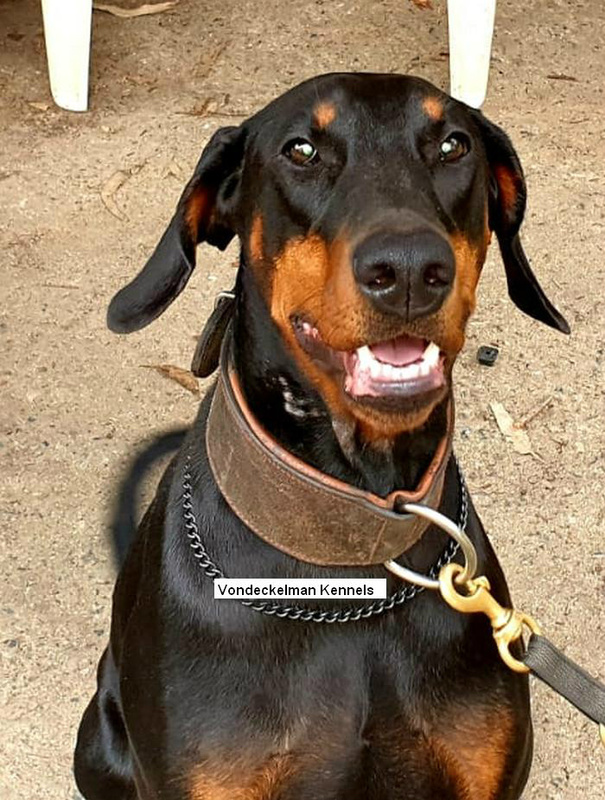 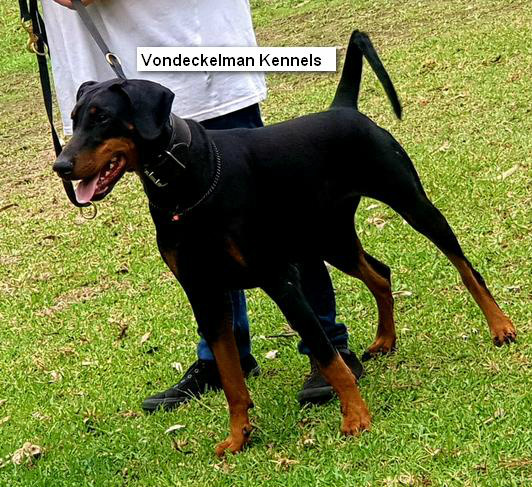 Dogs like her Grandparents Batida Vom Gerdautal ZTP V1A, Henrico Von Der Preussen-Garde ZTP V1B, Graff Quirinus Van Neerlands Stamm, Dea Dolores Vom Franckenhorst, Nitro Del Rio Blanco and Gino Gomez Del Citone. 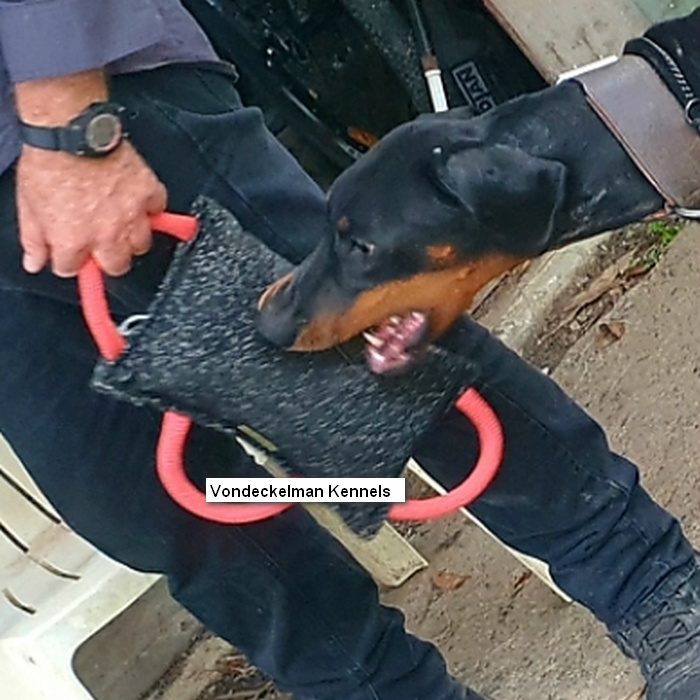 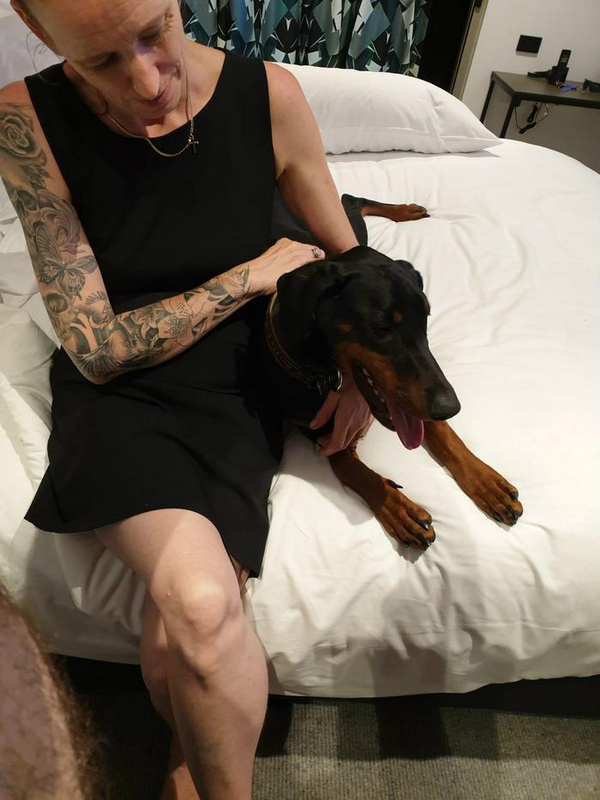 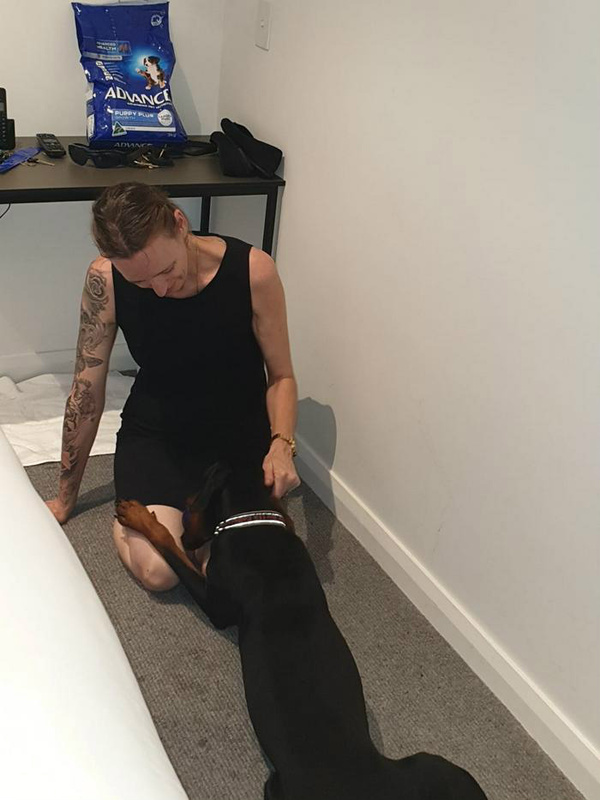 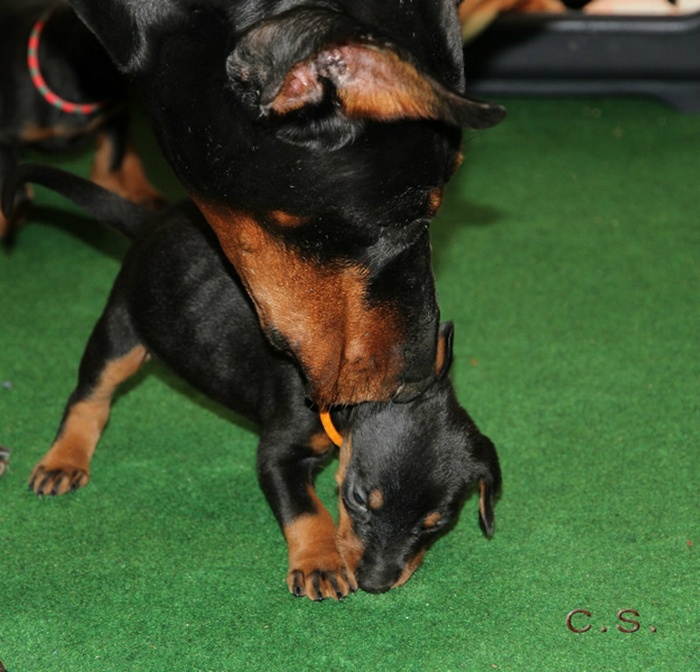 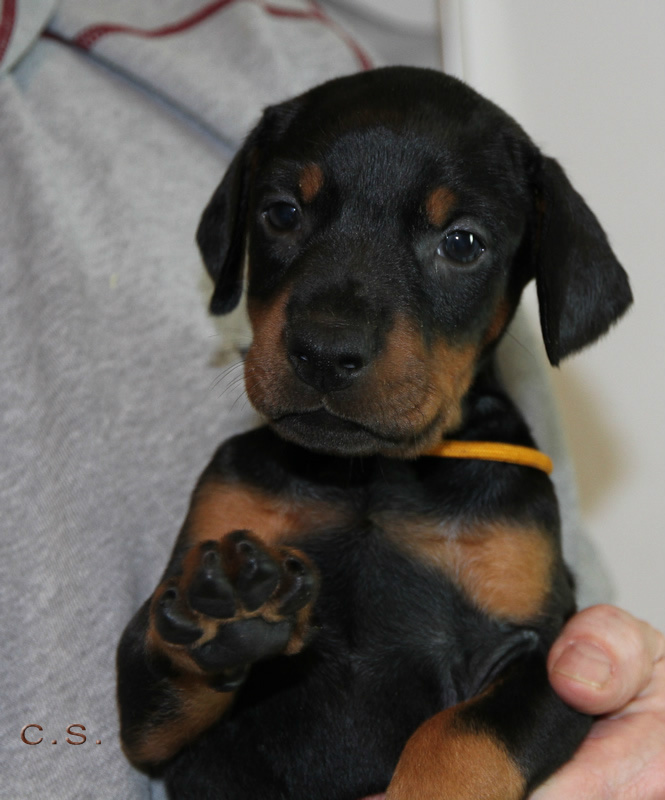 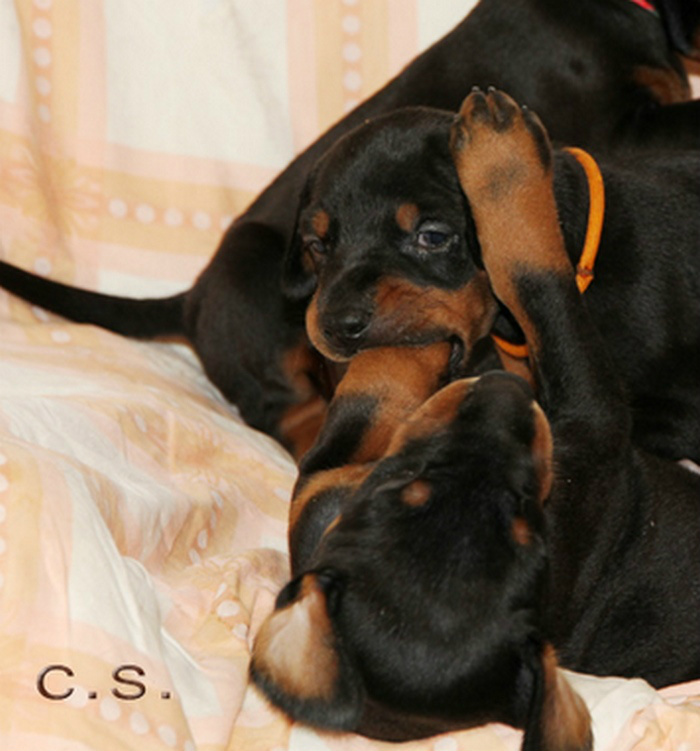 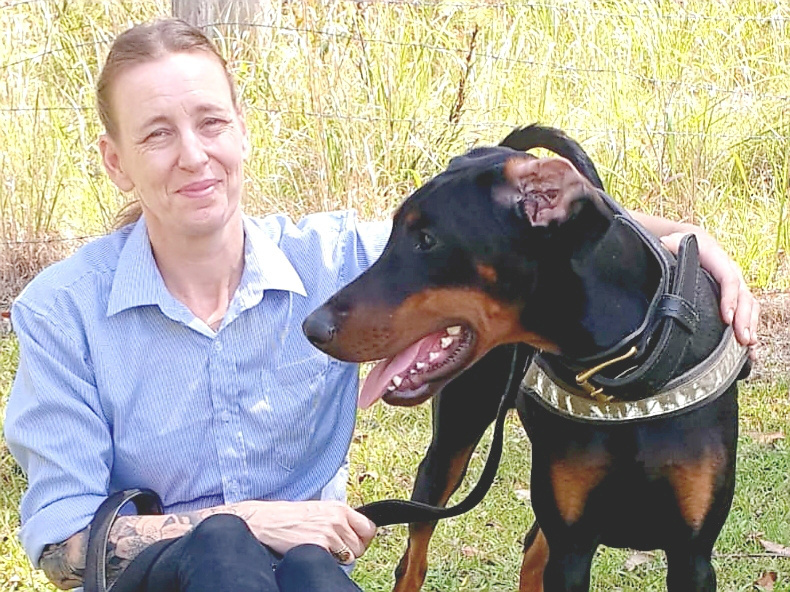 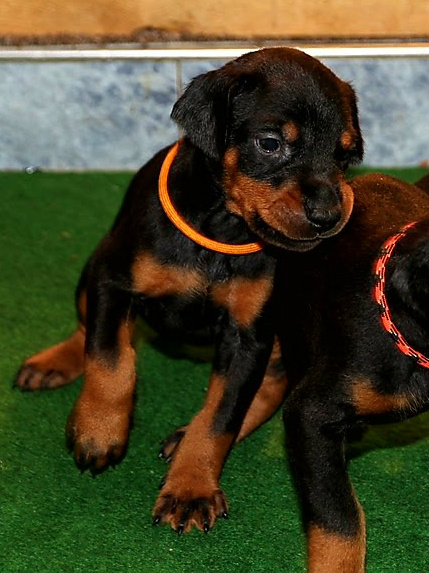 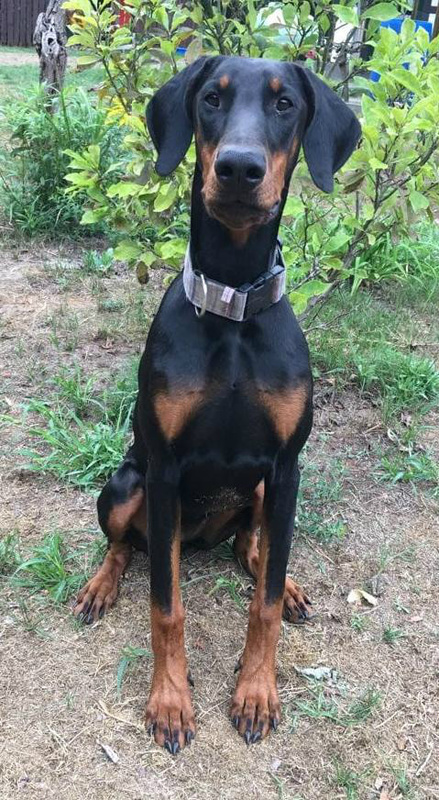 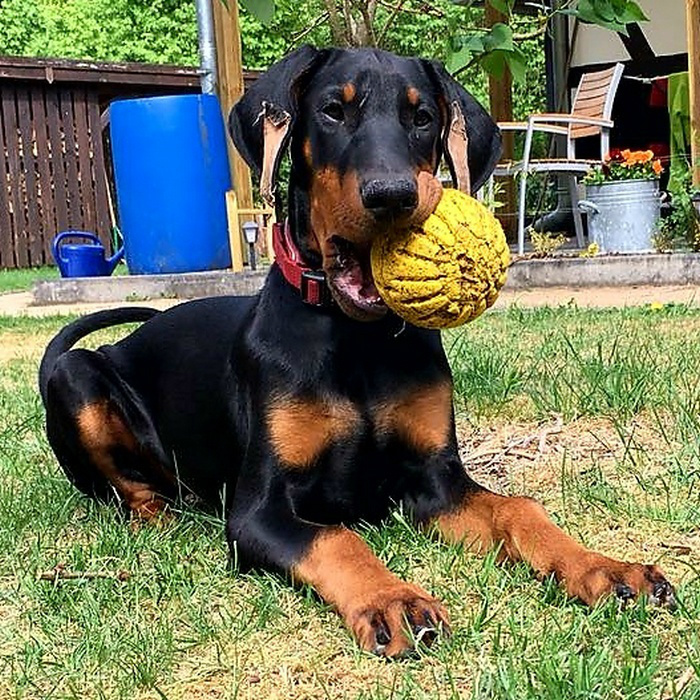 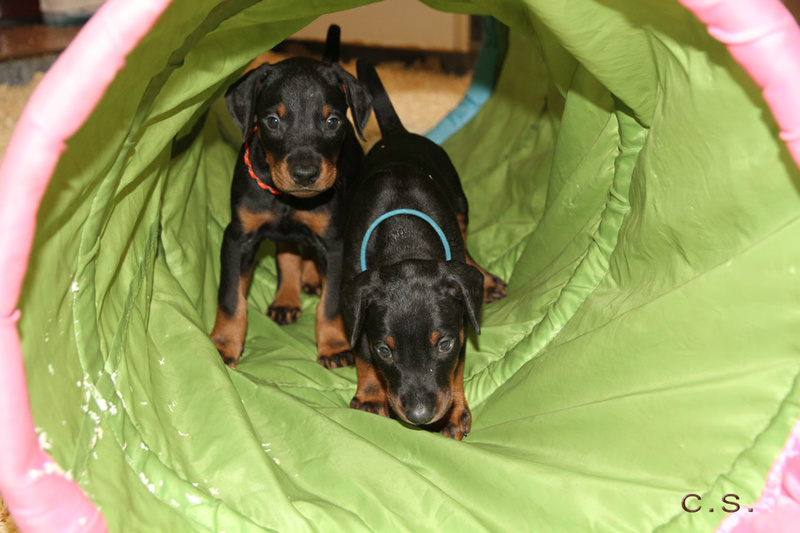 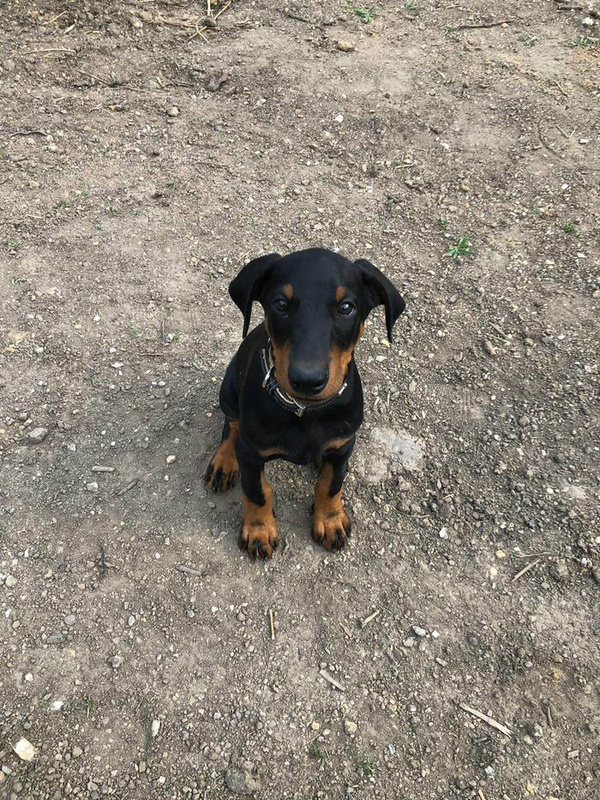 All Champion dogs with outstanding bite power and confidence, all very self assured, stable strong dogs being responsible for producing some of the best working Doberman Europe has produced..
We would like to thank Christine Schaumann in Berlin Germany who bred Xandra & for allowing us to purchase a Puppy from such outstanding dogs and lines 👍😊.